Comparing CoolSculpting to Zerona : Zerona is another noninvasive fat reduction therapy which directly destroys fat cells with laser energy. Also, much like other laser treatments, it promotes collagen production which improves skin tone and tightness. It’s regarded as one of the safest, most comfortable treatments available, causing no bruising or other side effects. It’s also essentially painless. Unfortunately this gentleness comes at a price. Zerona requires many treatments to achieve the full benefit. For two weeks following the initial appointment the patient must return to the office every other day for an additional 30 minute treatment. This translates into a total of 8 treatments, and any disruption to this schedule can negatively impact results. What’s more, Zerona shrinks fat cells as opposed to destroying them. This means that the results of Zerona aren’t as permanent as those of CoolSculpting. Not surprisingly, many veterans in the health and beauty industry regard CoolSculpting as the superior treatment. Venus Freeze is technically a skin rejuvenation treatment, not a fat reduction treatment. Its main goal is to increase the production of collagen, the protein which gives youthful skin it’s elasticity and firmness, which gives a tightening and toning effects. 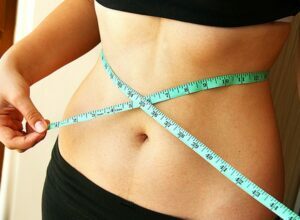 This being said, Venus Freeze does offer limited fat reduction benefits. Contrary to its name the Venus Freeze system isn’t a cold-based therapy like CoolSculpting. Instead it relies on the heat produced by radiofrequency (RF) energy, the same principle which makes Velashape possible. During treatment fat is broken down into simpler components known as triglycerides which are then naturally eliminated from the body.